Join REconomy Practitioners for an interactive workshop about Full Circle Leadership, a framework for understanding project life-cycles in emergent environments and the diverse forms leadership takes in collaborative groups. This will be a ‘reverse conference’ session, where participants watch a video presentation beforehand, and then participate in interactive exercises, questions, and discussions facilitated by the presenter. Alanna Irving developed Full Circle Leadership out of her experience and expertise in leadership without hierarchy. Alanna creates open source software and experiential processes for radical participation in decision-making, cooperatives, financial collaboration, and social change. Her work has included Loomio, Cobudget, Enspiral, Open Collective, and making crypto more accessible. More info at alanna.space. 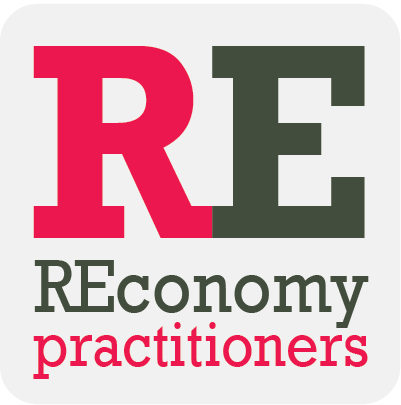 REconomy practitioners can get a special pre-order price on the forthcoming book co-written by Alanna, Better Work Together, to be published in mid-November. More about the book HERE. You can add printed book or ebook to your ticket when registering. We will be in touch shortly with a voucher code to get your book. To join this video call, you will need a reasonable internet connection, a webcam, headset and a quiet place to call from. As always, please note that our video calls are meant to be shared experience and will not be recorded.